Remember to keep your dogs away from the kids’ candy this Halloween. 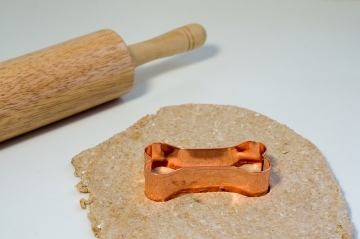 If you want to give your dogs a special Halloween treat, consider these great websites for some homemade Halloween dog treats. GoodHouseKeeping.com has a delicious-looking recipe for Clapton and Opal’s Doggie Brownies. Don’t worry, there is no chocolate in them. Examiner.com has a couple of Autumn recipes for dogs which look good for Halloween. 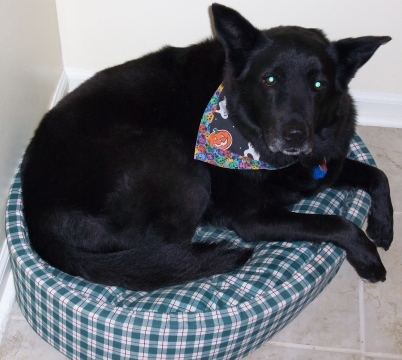 Check out their recipes for Apple-Cheddar Dog Biscuits and Blueberry Dog Biscuits. MyWebTimes.com has a couple of yummy recipes like Jack ‘O Lantern Treats and Banana Cookie Treats. My favorite website is AboutHomemadeDogTreats.com. They have lots and lots of dog treat recipes. Two of the Halloween-themed recipes which we found there are Peanut Butter Pumpkins and Bailey’s Pumpkin Oatmeal Dog Treats. Are you considering getting a West Highland White Terrier (or Westie as they are often called)? If so, click the West Highland White Terrier dog breed for more information. Learn more about the Scottish history of the West Highland White Terrier dog breed. Discover their temperament and what makes them great house pets, including about how their coat is great for people with pet allergies. Also get some insight on some common health issues associated with the West Highland White Terrier dog breed. Knowing what to look for will help you determine which dog breeder is more reputable and more likely to breed good healthy dogs. 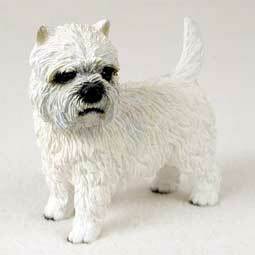 If you know someone with a West Highland White Terrier, consider a holiday gift of a West Highland White Terrier dog breed figurine as pictured above. Why Not Big Dogs in Hotels? Visit GiveBigDogsABreak.com to sign a petition which discriminates against big dogs in hotels. Many hotels have a weight limit on dogs because supposedly big dogs are messier and more of a hassle for hotel owners. Those of you who have owned both big dogs and little dogs know this is absolutely not true. Yes, a big dog who poops in the hotel room is most likely to leave a bigger mess. But in general, big dogs are easier to house train than little dogs. So a little dog pooping in the hotel is more likely to happen. Also, hotel owners worry about big dogs harassing or biting hotel staff or other visitors to the hotel. While we hear lots of news stories about a Rottweiler or Pit Bull attacking people, it happens less often than you think. And believe it or not, most reported bite cases are from little dogs, not big dogs. Yes, a big dog could do more damage, but a little dog bite is more likely to happen and more likely to get infected. So visit GiveBigDogsABreak.com and sign the petition today. Stand up for your big dog so that he gets treated the same as a little dog. What Kind of Dog Breed is Sephi? What kind of dog is Sephi? When people see Sephi, they often ask what kind of dog she is. She is a rather unique looking dog but I think it is funny that people try to categorize her as a specific breed. Sephi is unique, but not because she is a rare kind of dog breed. She is an American dog – or mutt if you will – four kinds of dog all rolled up into one little dog. As an American dog, her genetics probably trace to a number of common dog breeds found in the US. My guess is that she is part Labrador Retriever, part German Shepherd, part Chow Chow, and someone has even suggested a bit of Border Collie. While a Labrador Retriever is the only dog breed with origins in America, the German Shepherd and other dog breeds are very common and popular in the US. How do I know what kind of dog Sephi is? Well, I did not do one of those DNA tests. Like most American dog owners, all I can do is guess. Labrador Retriever – She is almost completely solid black in color and her head has a little bit of a Labrador Retriever head-shape to it. She also seems to have a little bit of hunting instincts. Not much to go on, so I would say 12.5% Labrador Retriever. German Shepherd – She has long pointed ears and her eyes are rich brown in color and very expressive like a German Shepherd’s. We knew someone with a black German Shepherd once and when the two dogs walked side by side, Sephi almost looked like a miniature version of him. Based on that, I would guess 25% German Shepherd. Chow Chow – Sephi has a spotted black tongue. (Chow Chows are known to have solid black tongues.) Her tail curls up over her back almost like a Chow Chow, but not quite as curled. And she has a stocky build and body shape like a Chow Chow. My guess is that she is probably 50% Chow Chow. Border Collie – Sephi has a little bit of white on her feet. Not as much as a Border Collie, but none of the other dog breeds I have guessed have white feet. Sephi is also very high energy and she has a strong herding instinct. She could be 12.5% Border Collie. What kind of dog do you have (or think you have)? If you’re not sure, feel free to share a photo of your dog and let us take a guess. Email us a jpeg photo at naturebydawn@aol.com. We can post your photo on our blog and invite everyone to give their input. Also, consider being dog pals on My Dog Space.com. I have had dogs my entire life and considered myself pretty good at training them. Teaching a dog to walk properly on a leash is not easy, but I never had as much trouble with it until Maya came along. Walking her often caused my arm to ache and blisters to form on my hands where I held tightly onto the leash in order to keep her from getting away. Maya is an energetic dog who is super excited about walks, ready to sniff every tree, and eager to greet every person and dog she can see. The method I had used to train my other dogs did not work on Maya. I was using an old-fashioned method which involved leash jerking and harsh collars. I started out with the choke chain, then eventually had to move up to one of those pronged collars. The prong collar worked but I felt awful about using it. And it only worked when I used it. If she wasn’t wearing that collar, all training was forgotten and Maya was back to her headstrong pulling self. It wasn’t until I started taking classes to be a certified dog trainer that I learned a better method. Last year, I earned my dog trainer’s certificate with the Animal Behavior College and used my skills to teach Maya to walk on a leash without a special collar. The first technique I used was the hardest for both me and Maya. If she pulled too hard, I would make an eh-eh sound and stop. I would stop and wait until she stopped pulling and looked back at me to see why I wasn’t following her. This was difficult because it would take a very long time for us to even make it a block. The second technique was to bribe Maya with treats. Whenever she walked nicely beside me, I said, “Good girl!” and tossed her a treat. Some dog trainers are against using this bribery method because they believe that the dog becomes dependent on the treats and only behaves when treats are present. This can be true to some extent. I am currently in the process of weaning Maya off the treats. But I would rather have her behave because she wants a treat than to behave because if she doesn’t the prong collar will pinch into her neck. Although these tips are simple, they are time consuming. It took a good couple of months to get Maya to behave on the leash most of the time. We still have some issues to work out, but I am really glad that I can walk her now without using those terrible prong collars. 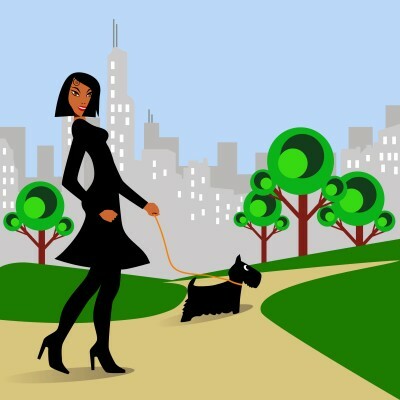 If you have trouble walking your dog, consider the above techniques. Set aside fifteen to twenty minutes a day for walking. Keep it up for as long as it takes. Remember that nothing good ever comes easy. The holidays are here once again. It is time to visit family, to be thankful for all the goodness in your life, to remember the good spirit of humanity, and to let your friends and family know how much you care. While you don’t always have to give a gift in order for someone know you care, it makes you feel good. I love it when I get a card from a friend. Gifts are nice too, but not necessary. But when I see that look on their face as they hand me the gift, I know that it’s a gift which they put special thought into just for me. I can’t help but to appreciate their friendship all the more. All my friends know that I am a big lover. So most of the time, I am given gifts which have to do with dogs – a book about dogs, a dog toy, something I can use for my dogs, or just a gift with a dog theme. If you have a dear friend who loves dogs as much as I do, consider getting them such a gift. A dog figurine of their beloved pet can be something special and a great keepsake. A dog car seat belt for their dog is another idea. A dog lover will genuinely appreciate that you not only thought about them, but that you also thought about the special four-legged friend in their life. As a gift to you, we are giving you a special discount on Pet Auto Safety.com and Animal Figurine Store.com. To get 15% off, enter discount code, holidaypet. That is spelled in all lower-case and all one word. Feel free to use it anytime. But be sure to place an order early. We don’t offer rush shipping so the earlier you place your order, the better. Come join us at the Dogtoberfest in Lawrence Kansas on Saturday, October 16. I will be there with my dog Maya at South Park in downtown Lawrence Kansas from 10am to 3pm. I will be representing PetAutoSafety.com, AnimalFigurineStore.com, and, of course, the American Dog Blog. Our booth will have pet auto safety supplies such as dog car harnesses, pet car seats, and other dog travel supplies. We will also have dog and cat figurines from the AnimalFigurineStore.com. If you come to my booth at the Dogtoberfest in Lawrence Kansas and mention that you saw this blog post, we will give you a free dog squeaky toy! Other events at the Dogtoberfest include adoptable pets from the Lawrence Humane Society, dog demonstrations, other pet supply vendors, and contests and activities for both dogs and kids! All proceeds benefit the Lawrence Humane Society and the Lawrence Community Shelter. I loved this book! 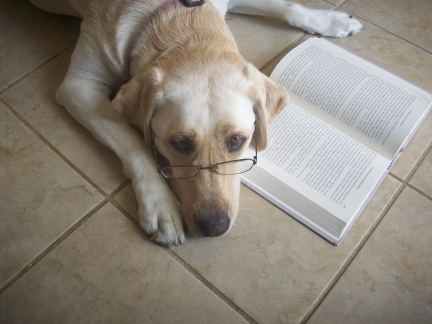 “One Good Dog” is very well written and a difficult to put down. I was so engaged in the story, that I finished it in just a few nights. When I did have to put it down, I couldn’t help but to continue to think about the story. 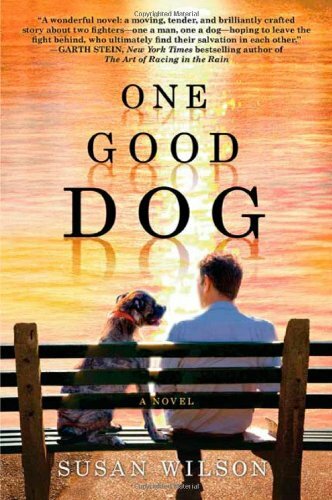 “One Good Dog” is about two separate dysfunctional lives who come together and make life better. One life is from the perspective of a pit bull mix dog. He starts out his life in the pits as a fighting dog. He is abused and forced to live in a tiny cage and is only brought out to go to the bathroom or to fight. The other life is of a man who grew up in foster homes. His early life with nothing drives him to succeed as a white collar executive who has everything. Or at least he thinks he has everything. He is arrogant and spoiled and is concerned more about his job and being obeyed by his underlings than he is about his family. This man makes a huge mistake at work, a mistake which also happens to be against the law. He is fired from his corporate job and forced into community service. Jobless, and unable to get another job due to his criminal record, his volunteer service at a homeless shelter becomes his focus. No, it is not an animal shelter, it is a homeless shelter. But one of the regulars at the shelter who has a dog will eventually lead our man to the pit bull dog in need. In the meantime, the pit bull dog is rescued and taken to a shelter. Because he is a pit bull, it is hard for the shelter to place him in a good home. He ends up in a not-so-good home and his owner eventually lets him loose on the streets. He lives on the streets for some time before finding himself back in the shelter again. That is where the man finds him. But the story doesn’t end there. There is conflict with the dog’s previous owners who used him for fighting and conflict between the man and his daughter who hates him. The man who had only taken the dog out of reluctance eventually bonds with him. The man learns that the true joys in life are not the fancy cars that you drive or the amount of respect you can demand from other people. The dog learns that life is not about fighting and that people can be a source of love and security. It is a very heartwarming story and worth every page on which it is written. If you have a chance, I strongly recommend you read this story about a man and a dog who were each given a second chance at happiness – and succeeded. It is a very heartwarming story and worth every page on which it is written. If you have a chance, I strongly recommend you read this story about a man and a dog who were each given a second chance at happiness – and succeeded. You can purchase “One Good Dog” at any book store, or get it from our Dog Lover’s Book Store. We recently read this great article about Oliver. Oliver was being sold in a pet shop when he got ill. Since the pet shop wouldn’t sell a sick dog, it was either have him euthanized or find someone who was willing to take him home and pay his vet bills. Check out Oliver’s story at http://upforpups.org/2010/09/pet-shop-tale/. 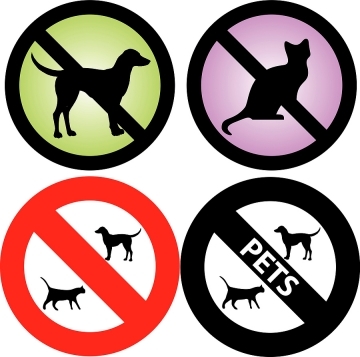 The chance of a pet who is purchased from a pet store becoming sick is all too common. This is mostly due to pet stores getting their pets from irresponsible breeders. Irresponsible breeders do not care about or do not have enough knowledge about health issues. And as such, they may be breeding dogs with genetic diseases and deformities. Or they may be inadvertently spreading diseases due to improper care. Because an irresponsible dog breeder does not take the time or spend the money needed to make sure their dogs are healthy, they can sell dogs at a good price. This is perfect for a pet shop which needs to make money. A pet shop can’t afford to buy expensive high-quality dogs, so they usually end up getting them from these irresponsible breeders. This practice does not apply just to dogs. This applies to cats, snakes, lizards, birds, and more. So before you purchase a pet, be sure that you research the source. Be willing to spend a little extra money on a dog who you know came from a responsible breeder. Cassie was the name of my Shetland Sheepdog. She came into my life when I was 10 years old. As a Shetland Sheepdog, she had a lot of great qualities and was the perfect dog to lighten up the life of a ten-year-old girl. 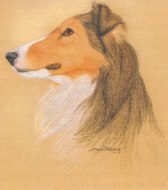 Read about these great qualities on my Squidoo page titled “Information on the Shetland Sheepdog Dog Breed”.